I am delighted to announce that Doneka Scott is the university’s new vice provost for undergraduate education and student success. Doneka will lead a division by the same name, which is a renaming of the Division of Undergraduate Studies. For the last three years, Doneka has served as associate vice provost of student success and associate dean for undergraduate studies. 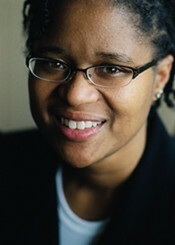 In those roles, she implemented and enhanced strategies to increase four-year graduation rates, with an overarching goal of eliminating institutional barriers that impede students’ timely progress to graduation; improving access to campus resources; changing the approach to advising; and improving how the UO supports and retains all students, particularly those from underrepresented groups. As a testament to her work and due to the timely nature of our critical student success initiatives, I made the decision to directly appoint her to this position. Doneka will continue leading the university’s student success initiatives, one of President Michael Schill’s top priorities, and oversee all functions of the former Division of Undergraduate Studies. In addition, she will be responsible for ongoing development, implementation, and management of academic and career advising in Tykeson Hall; a comprehensive first-year student experience; a coordinated effort to improve academic support for students; and fundraising efforts to support and enhance student success opportunities. Doneka has made a positive difference for our students. She took on a tough assignment, worked tirelessly to bring collaborators across campus together, and built trust for teams to remain engaged in the important mission of increasing student success. I also want to thank Dennis Galvan for his service as interim vice provost and dean for undergraduate studies. He worked diligently during these last 17 months serving in this interim position while continuing in his role as vice provost for international affairs. He stepped in at a time of transition and reorganized undergraduate studies, aligning the division’s student success programs with student success goals that Doneka was developing. He worked closely with Doneka during his tenure as interim dean as they sought ways to improve how we serve our undergraduates and guide them through to graduation. Dennis will continue leading our international affairs efforts as the dean and vice provost for global engagement, which reflects another divisional name change. The Office of International Affairs will be renamed the Division of Global Engagement to better reflect its mission at the UO. In this role, Dennis has set forth some ambitious goals to help us in both our recruitment and retention of international students, and in boosting the number of students who pursue international educational experiences during their time at the UO. He will also work to help us expand international grants, contracts, and philanthropic gifts in support of faculty members’ global research. Global engagement is integral to and essential for academic excellence, the student experience, and student success. With Dennis leading these efforts, the university is committed to leveraging our already robust international profile to advance our institutional goals. All of these changes will take effect in February. Please join me in congratulating Doneka and Dennis.